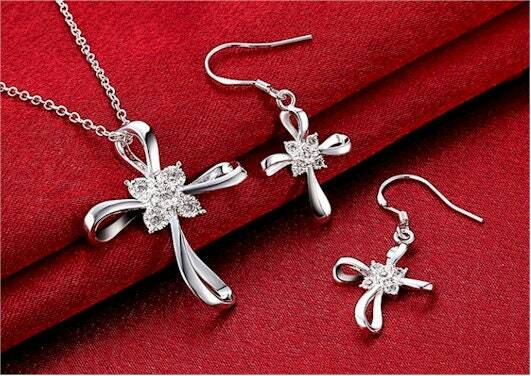 This Beautiful Silver Classic Elegant Swirl Infinity Cross Earrings with Inset Crystals. 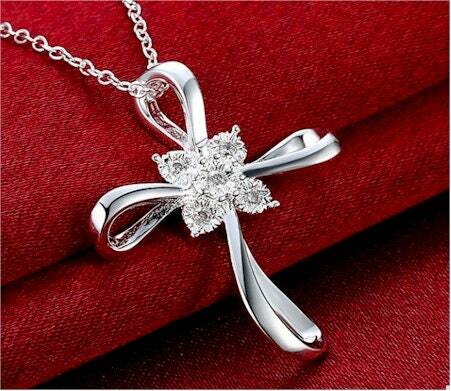 Delicate Bright Silver and Shimmering Jeweled Design. Comes with a really fantastic link chain that has a positive locking lobster claw clasp. 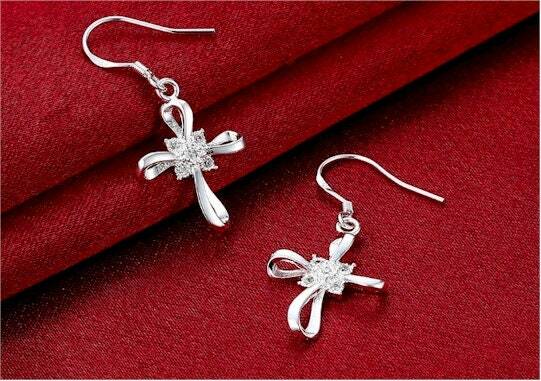 The Earrings measures 7/8” high x 5/8”. The Necklace measures 1 1/4” high x 1 1/8” wide and comes with a beautiful 18" silver link chain.